Cammie Staros. The Armory Show, 2018. Looking specifically to the shapely vessels of Classical Greece, the artist’s hand-built objects marry ancient ceramic techniques with modern industrial materials such as milled and turned woods and machined metals. The resulting sculptures are rooted in history, yet disarmingly present. Staros often mines images and artifacts from the Greco-Roman period that aestheticizes eroticism, violence, and victory. The artist anthropomorphizes her sculptures through references to armor and dress—often a gendered divide—as traditionally depicted on Greek figure vases. Staros’ fascination with classical antiquities lies both in the objects themselves, and with how those objects have come to represent an origin story of Western art history. Her works remind us that historical narratives are told through visual languages as much as written ones. 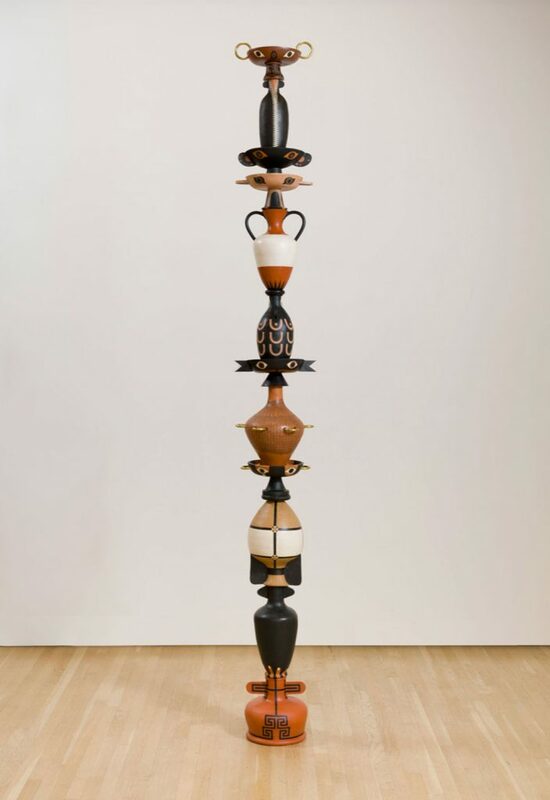 Staros contributes her own symbology to a constellation of references from far-flung regions and eras, and entices her audiences to reexamine the role of historical objects. 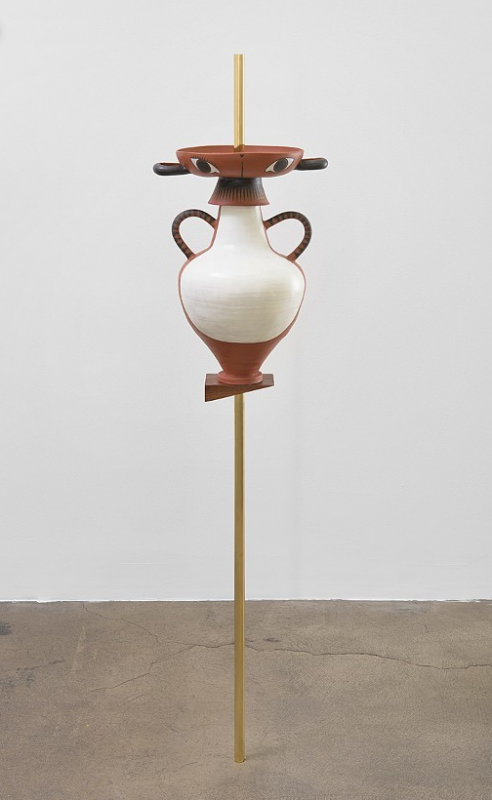 Through her ceramic sculptures, the artist considers the representation of desire, violence, gender codes, and institutional tropes of display, all embedded in the materials and images of antiquity. Cammie Staros (b. 1983, Nashville, TN) received her BA from Brown, Providence, in 2006 and her MFA from California Institute of the Arts, Los Angeles, in 2011. Staros has had solo exhibitions at Shulamit Nazarain, Los Angeles (2017), at Lefebvre & Fils, Paris (2017), and Ghebaly Gallery, Los Angeles (2015) and recent group exhibitions at Blue Roof Studios, Los Angeles (2018) and at Ben Maltz Gallery at Otis College of Art and Design, Los Angeles (2018). Staros will be included in a two-person exhibition at Alice Black Gallery in London in Fall 2018.